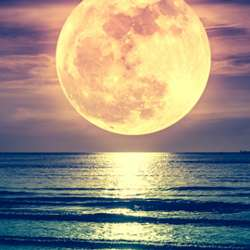 Full Moon Circle- Time for Meditation & Healing! Full Moon is a powerful time to release the old stagnant energy, make room for the new to come into your life. It is also a great time to connect within for healing and recharge. Come join like-minded/open-minded people for an evening of magic and connection. Together we will cleanse our energy, calm down the monkey mind, relax our body through meditation. We will jointly send Healing for ourselves, our loved ones and even the world. We will also ride on the full moon energy to release what has been holding us back and set new intention for manifestation in Protected content . Wear comfortable clothes, come with an open mind, and just be yourself. This is a safe space and a time for yourself. Come explore the magic of full moon. I look forward to seeing you! Have a Happy Chinese New Year of Pig!